Carrot Seed Essential Oil is a wonderful skincare oil, nourishing and balancing, excellent for mature skin. Pure Carrot Seed Essential Oil is a wonderful skincare oil; it is nourishing, balancing, and excellent for mature skin. Carrot Seed Essential Oil comes from the seed of Queen Anne's Lace (wild carrot). The essential oil comes from the steam distillation of the dried seed. Carrot Seed Oil is excellent for applying to dry, mature skin. It is said to help restore the elasticity of the skin. It is considered one of the most important essential oils for revitalizing the skin and is one of the ingredients in our Replenishing Facial Blend. Want to make your own nourishing facial cream? Here's a super-easy recipe. 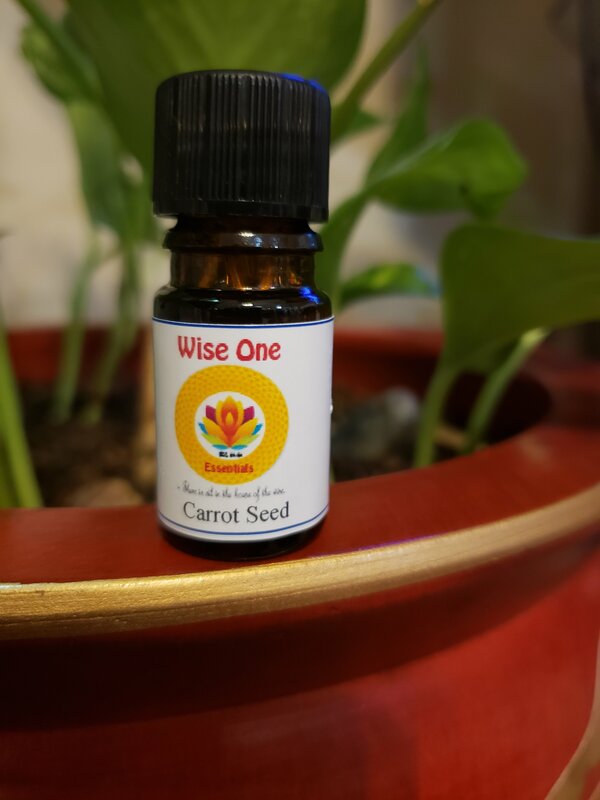 To read more about Carrot Seed Essential Oil, check out our blog post. Not recommended during pregnancy. May cause skin irritation--dilute well.